This dress was worn once. It’s from David’s Bridal. It has beading around the corset, a regular zipper for the back, pickups throughout the skirt. 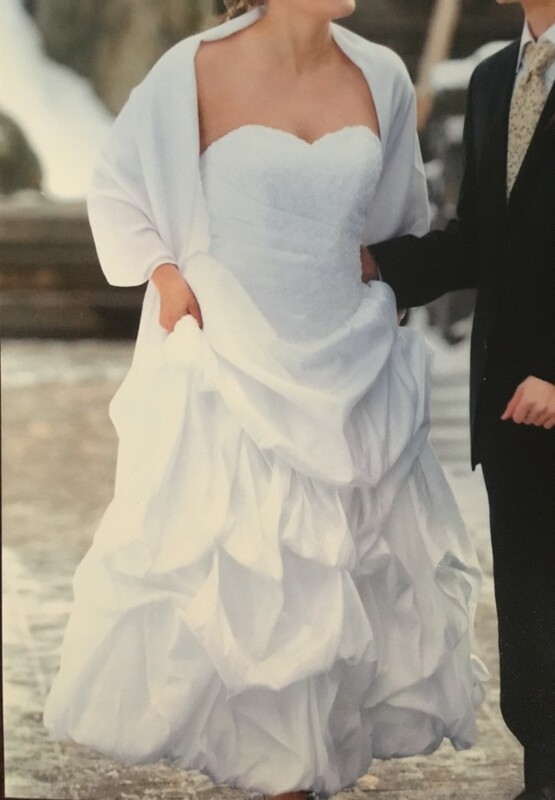 I wore it as a strapless but it is preserved with beaded straps/sleeves if you prefer. (See pic of dress in box for sleeve.) I got it cleaned and preserved right after I wore it, so it is in the box as you can see from the last few pictures.